Here’s the problem with so many pre-made snack mixes, they are way too salty or way too sweet. And they always leave a weird after taste. Anyone else with me? It’s easy. You’ll see what I mean once you get down to the recipe. It’s balanced. Like I said, I need a balance of salt and sweet and not too much of either. When you make your own, you have control over that. It’s economical. It’s true! The pre-made stuff can be a bit costly, especially when you look at what’s inside it. Hardly seems worth the cost! 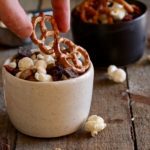 Making your own snack mix is fun and a great way to get creative in the kitchen. You’ll not only enjoy eating the snack, but you’ll love telling people you made it yourself. That will make you feel special. And that’s always nice! Just what is the formula for making a snack mix? Well, I’ve got a guide to help, but of course, feel free to experiment using your own ideas! Something crunchy – Always start with something crunchy. Some good ideas are pretzels, crackers, tortilla chips, etc. Something fruity – It’s always fun to have a dried fruit in your mix. Some of my favorites are dried cherries, raisins, dried apples and dried mango. Try to find the unsweetened versions of these. Something fun – That’s right, pick a “fun” ingredient. Fun to me means it makes you feel like a kid or is fun to eat. I like popcorn, puffed cereal (with very little, if any, sugar), pea crisps or partially popped popcorn. 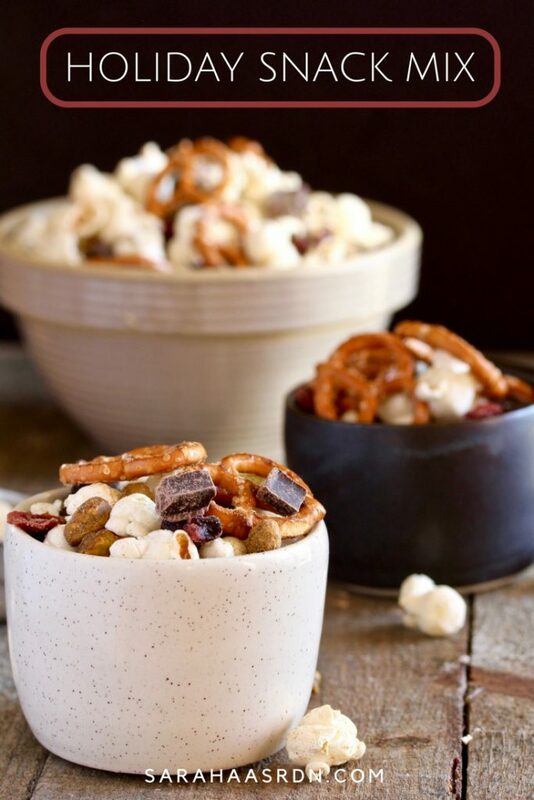 And for more inspiration, you can make my Holiday Snack Mix below! Need a delicious snack to feed your guests during the holidays? 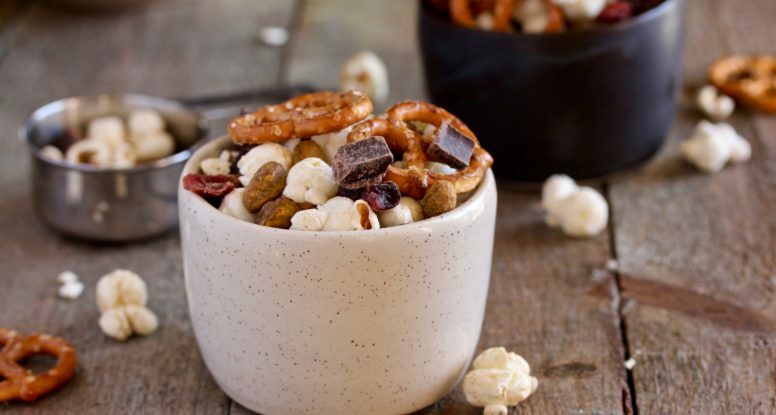 Look no further than this simple-to-make Holiday Snack Mix! How about some more snack ideas?